The Department of Justice, which tried to ban victims of domestic violence from seeking asylum in the United States, has found another way to try and trap victims in violent situations. As of April, as Slate first reported earlier this week, the definition of domestic violence as it appears on the website of the Office of Violence Against Women no longer includes language about non physical abuse. The Trump administration has limited the definition of domestic violence to criminal physical assault, which ignores the severe emotional and psychological violence that makes abuse so hard for victims to identify and escape. As to the National Domestic Violence Hotline explains, domestic violence is is a cycle of insidious “subtle, continual behaviors” reinforced by “more overt and forceful” acts of abuse that trap victims in a cycle establish power and control. By limiting the definition to physical assault, the DOJ is making it harder for victims to identify when they’re trapped in an abusive situation, and limits the number of victims who can qualify for aid as a victim of domestic violence. 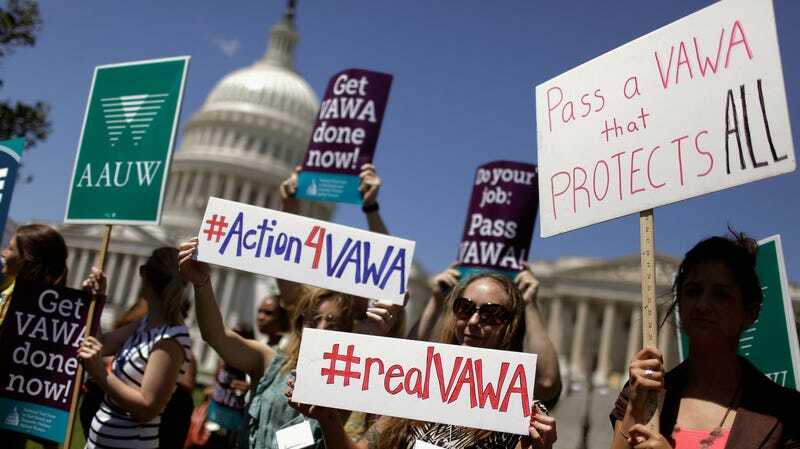 The Violence Against Women Act expired in December.